We’re very relieved to report that Patricia 3, Vivian, 10 and Ssaka, 12 have been reunited under one roof. You may remember we told you about a young family whose mother had been brutally murdered when she tried to stop two young men stealing from a neighbour. Her children were left traumatised, orphaned and destitute. The team had tried to trace family members to take in the children. They found someone willing to take in Ssaka but not his two younger sisters. Not wanting to split the family up Grace offered to give them all a home with her family. Now, with thanks to your support, Grace has been able to bring the children back together. Ssaka and Vivian have been enrolled in school and Patricia will be joining in reception class as soon as she is old enough. The team will be giving Grace lots of support to grow her small business so she can afford to take care of all the children in her care. Women like Grace are the real driving force behind transforming the lives of children in the slums where we work together. They have little yet give up all their time and energy to help the most vulnerable in their community. 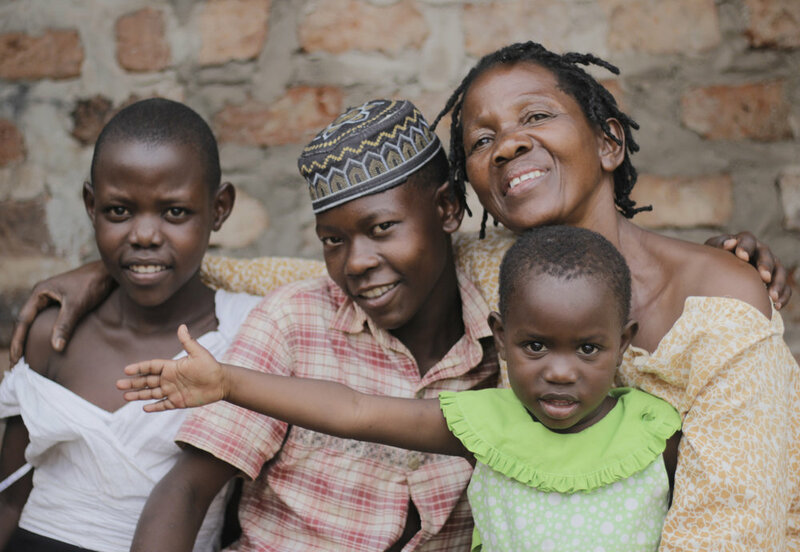 Thank you for making it possible for Grace to give the siblings a home together.